What begins as the sheer desire for adventure turns into a spiritual quest as a young woman comes to terms with her family, her dreams, and her first love. Tania Aebi was an unambitious eighteen-year-old, a bicycle messenger in New York City by day, a Lower East Side barfly at night. In short, she was going nowhere—until her father offered her a challenge: Tania could choose either a college education or a twenty-six-foot sloop. The only catch was that if she chose the sailboat, she’d have to sail around the world—alone. She chose the boat, and for the next two and a half years and 27,000 miles, it was her home. With only her cat as companion, she discovered the wondrous beauties of the Great Barrier Reef and the death-dealing horrors of the Red Sea. She suffered through a terrifying collision with a tanker in the Mediterranean and a lightning storm off the coast of Gibraltar. And, ultimately, what began with the sheer desire for adventure turned into a spiritual quest as Tania came to terms with her troubled family life, fell in love for the first time, and—most of all—confronted her own needs, desires, dreams, and goals. . . .
Tania Aebi is a bestselling author who, in 1985, became the youngest woman to sail around the world alone. 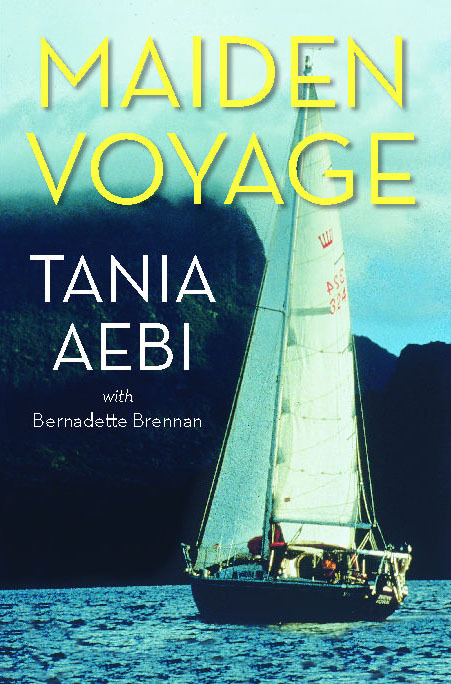 Her book Maiden Voyage has been published in eight countries.